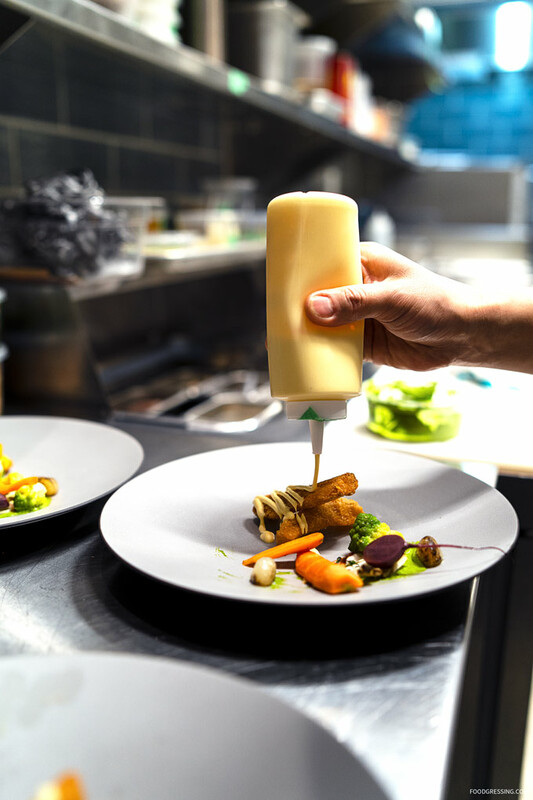 Newly opened in West Vancouver’s Ambleside neighbourhood is Ancora Waterfront Dining and Patio second location at 1351 Bellevue Avenue. 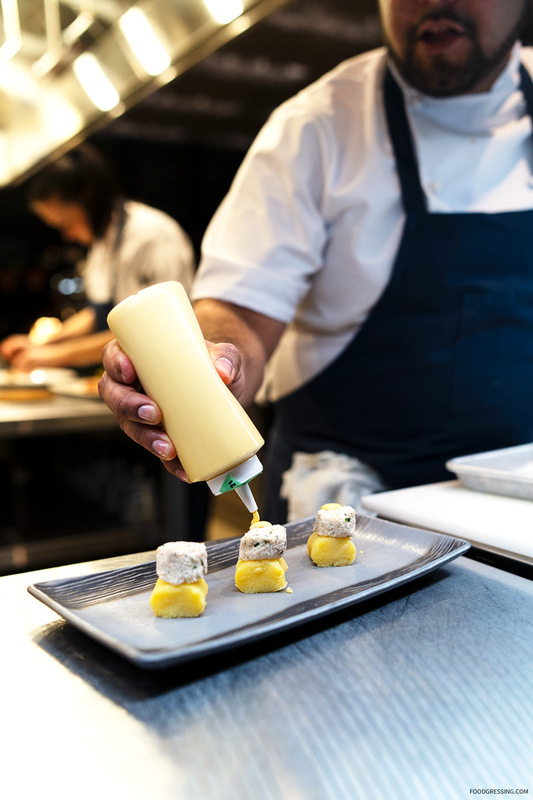 Known for their Peruvian-Japanese cuisine with Pacific Northwest elements, Ancora’s False Creek location has received numerous accolades, including being named one of Canada’s 100 Best Restaurants in 2016 and 2017. 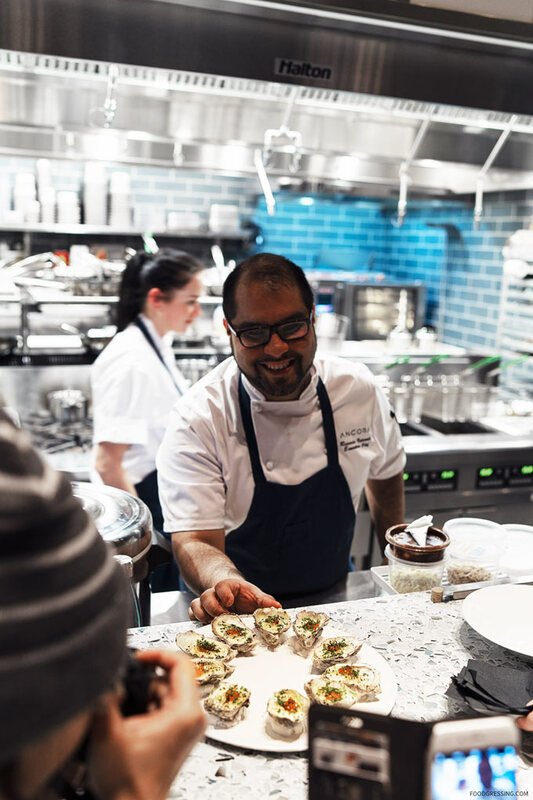 Leading the kitchen is longtime Executive Chef Ricardo Valverde and Chef de Cuisine Jorge Kim, with Brent Kim presiding over the raw bar. 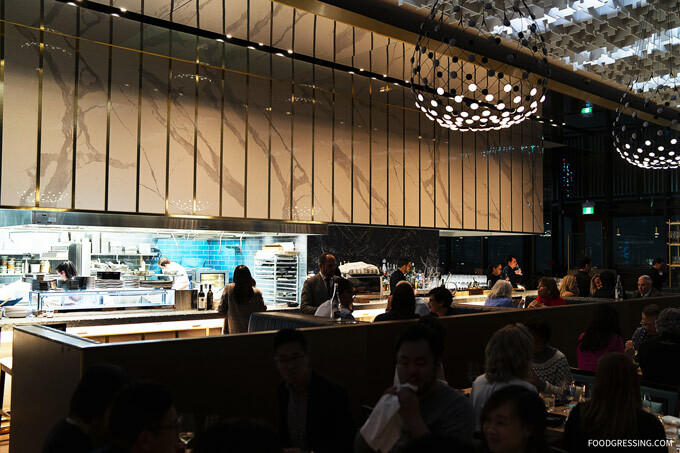 Ancora Ambleside showcases the same Nikkei-style cuisine as the False Creek location with a focus on fine wine and cocktails. 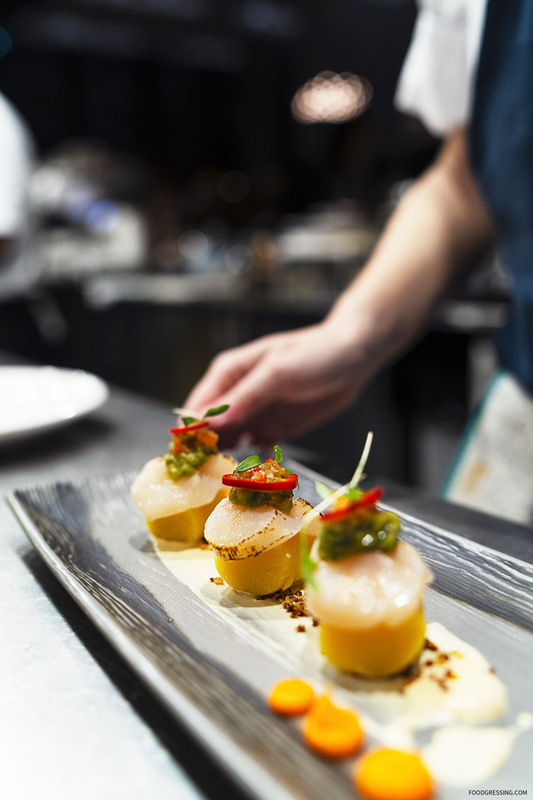 The crudo bar offers freshly made Ceviches, Causas and Sushi while the main menu features Peruvian-meets-Japanese signature dishes such as Pan-Seared Pacific Lingcod, Arroz Con Pato, Beef a la Parrilla, Aji Panca Glazed Sablefish and Hokkaido scallops & Pork belly. At the bar, Ancora Ambleside offers seasonally inspired renditions of classic cocktails such as the Pisco Quebranta, Wasabi Margarita, Caraway Caesar and Ancora’s signature Chicha Libre. 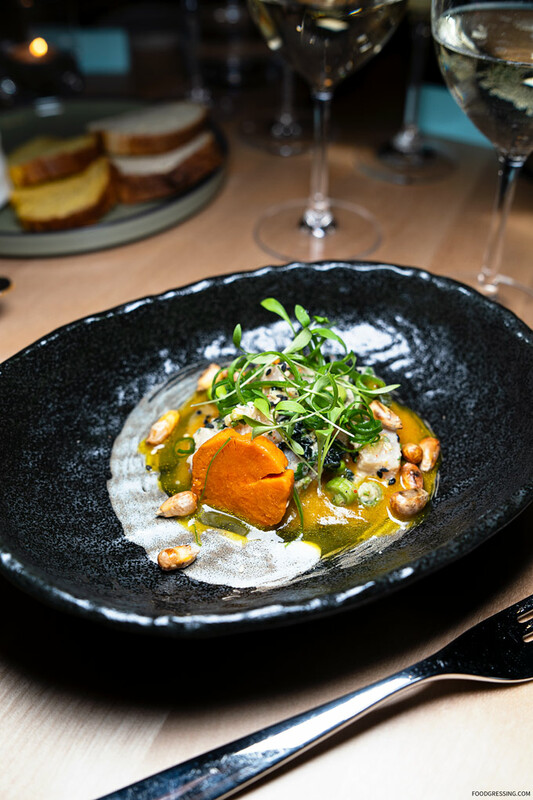 The wine features a diverse range of regions and styles from around the world and complements the menu’s bold flavours and seafood-focused dishes with fresh, high-acid whites and light-bodied reds available by the glass and bottle. The interior of Ancora Ambleside embraces a neutral palette with touches of light wood. 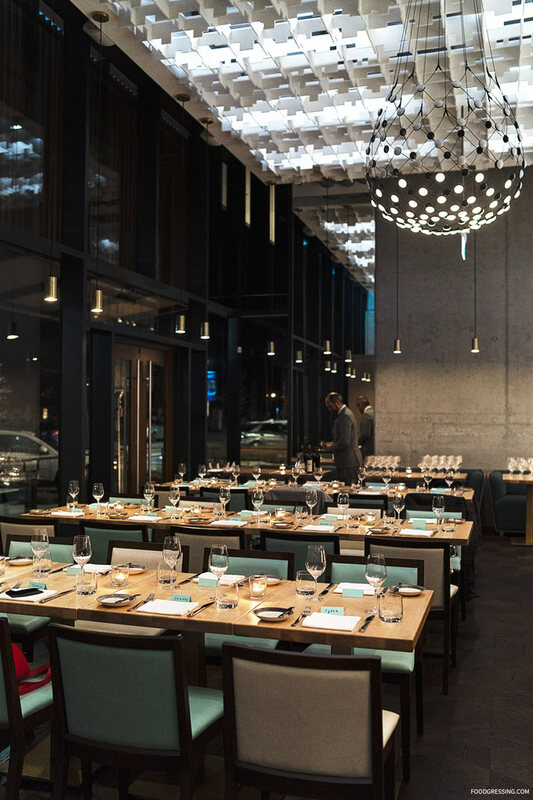 The restaurant also features a theatre-like open kitchen and bar along with via high ceilings and windows. The dining room seats 104 seats and another 38 on a heated patio that features scenic views of the Lions Gate Bridge, Stanley Park and Vancouver’s West Side. 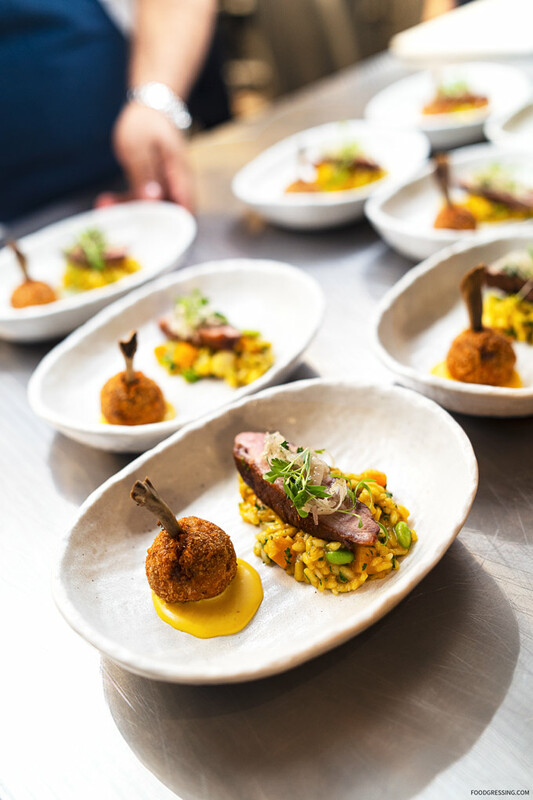 I recently attended a media event at Ancora Ambleside to try a few of their offerings. 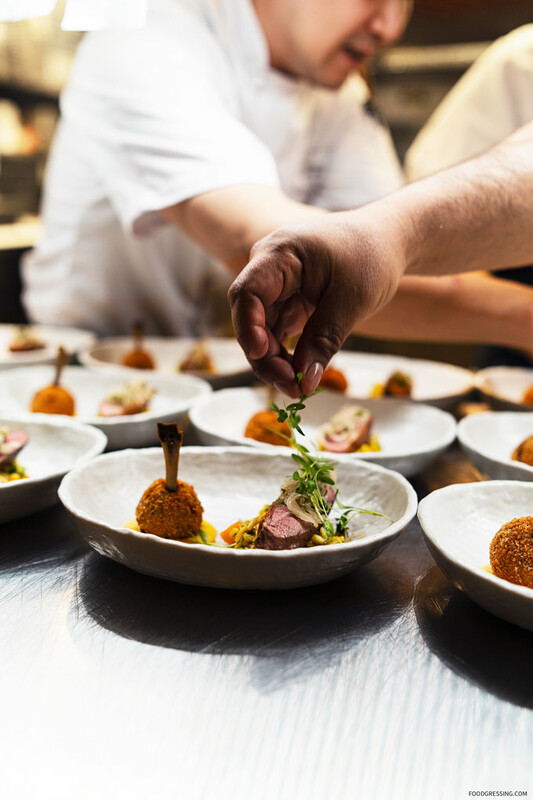 Here’s a look at what you can expect when you dine there. This amuse bouche also had huancaina and botjia olive soil. 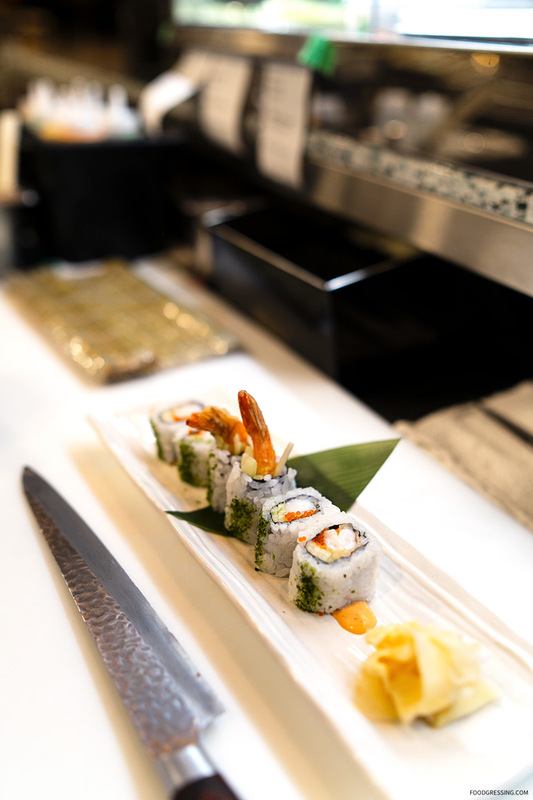 Prepared with ginger, wakame, and nikkei leche de tigre. 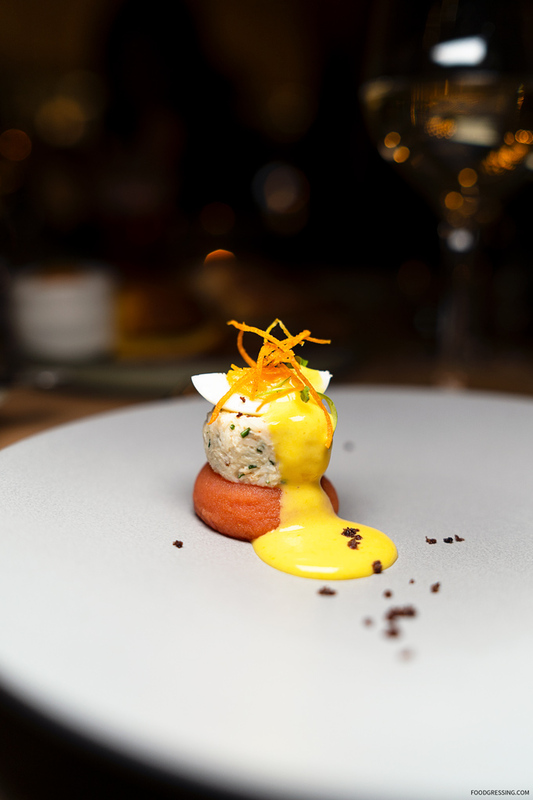 Our third course was one of Ancora’s signature dishes. 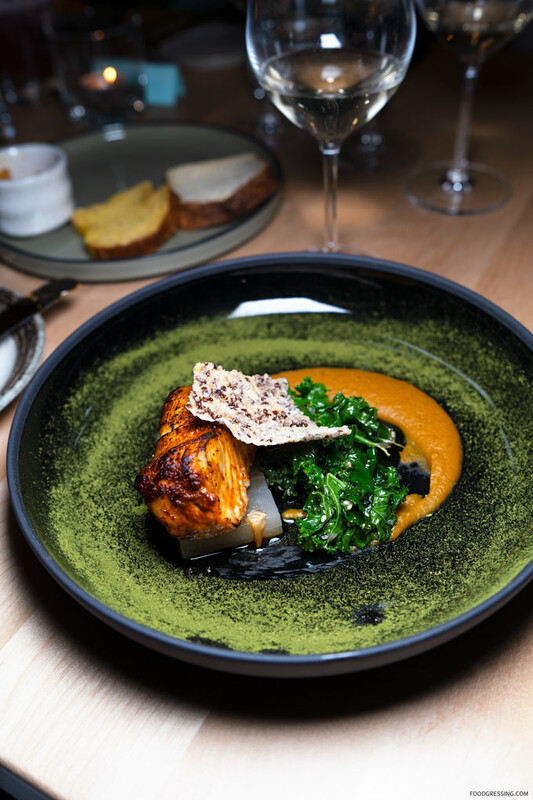 I enjoyed the rich, satiny sweet, buttery taste of the sablefish accompanied by smoked potato, quinoa and nori. 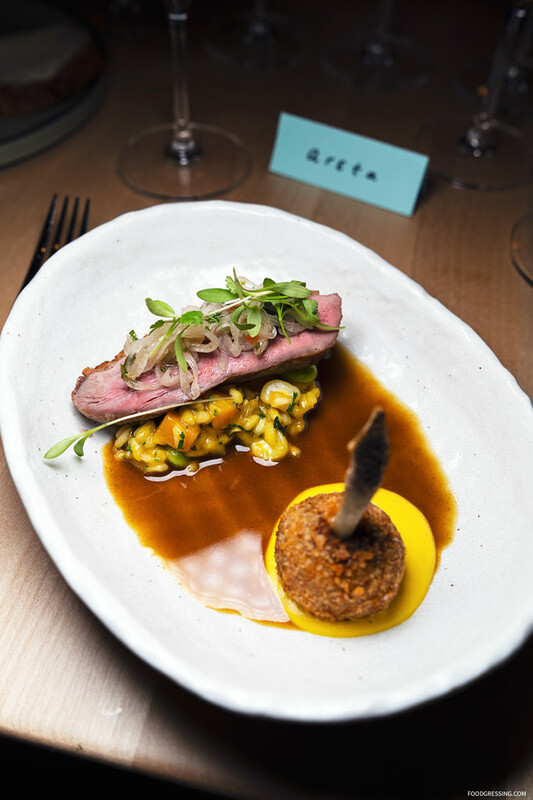 This rice and duck dish was a favourite among the guests I talked to. It came with pickled shallots and seco jus. 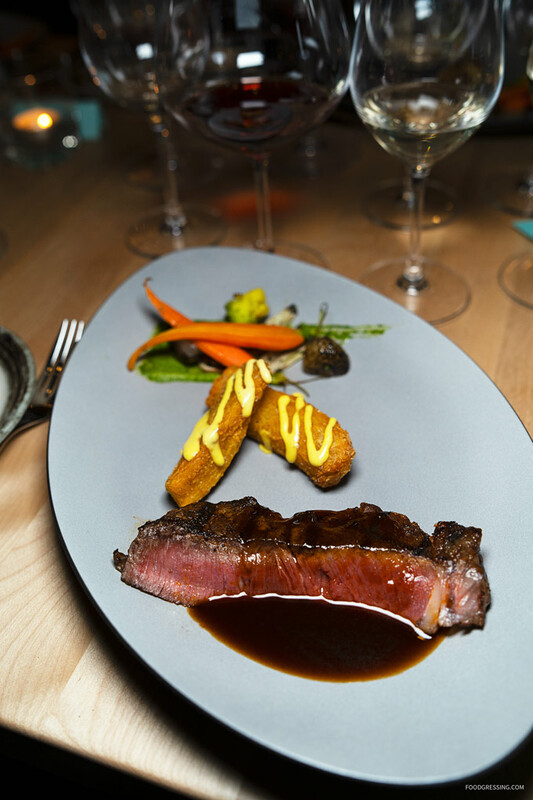 The steak was accompanied by seasonal vegetables, aji verde, yucas bravas and black garlic jus. 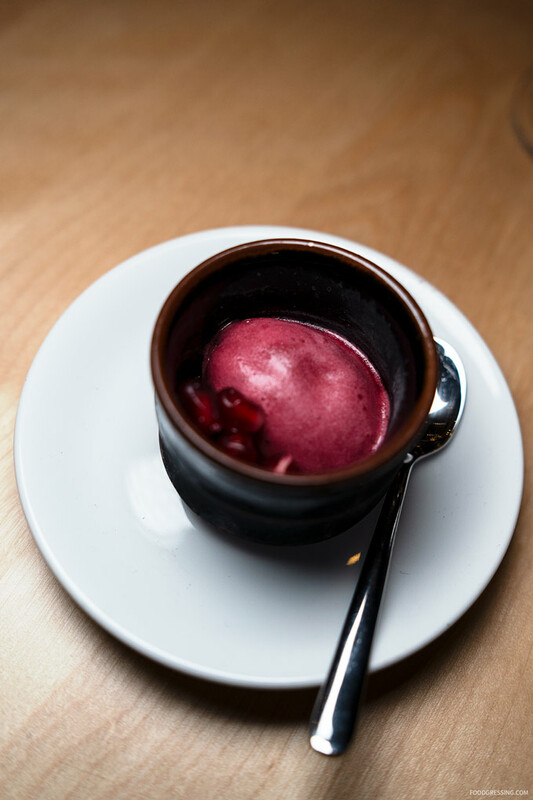 We were then presented with a refreshing sorbet made with Chicha Morada, a popular Peruvian purple corn drink. It was wonderfully fruity and tangy. 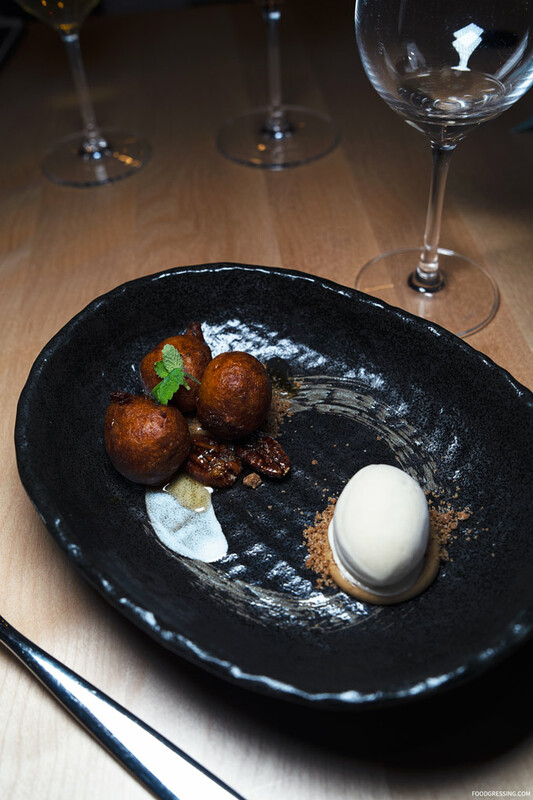 For dessert, we enjoyed these light and crispy doughnut-like fried treats paired with the sweet and carmelly flavours of lucuma (a type of fruit native to Peru) ice cream. My favourites of the evening were the Aji Panca Glazed Sablefish, Arroz con Pato and Spiced Picarones.